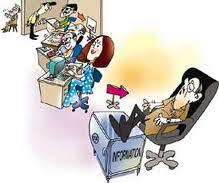 The fiscal system in India had been under mounting pressure especially since 1980s. Due to slow economic growth, the revenue generation (total revenue here does not include loans obtained by the government) had been lower than the expenditure requirement of the government. This resulted in a fiscal imbalance leading to rising revenue deficit and fiscal deficit of both the Center and the States. The fiscal imbalance was caused mainly due to growing burden of unchecked growth of non-plan/non-development expenditures by the government during the eighties, eg especially defence expenditures, interest payments and subsidies. Since the government borrowed heavily to meet the deficit, the interest burden increased (36% of government expenditure in 1991). Monetary deficit reached 8.4% of our GDP. Deficit on the current account reached $9.9 billion. As a result of this government introduced several fiscal reforms in 1991. 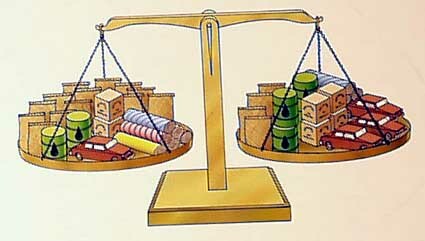 II] Unfavourable balance of payments.Our economy was caught in a debt trap. This led to instability and uncertainty. NEP was necessary to bring about stability. 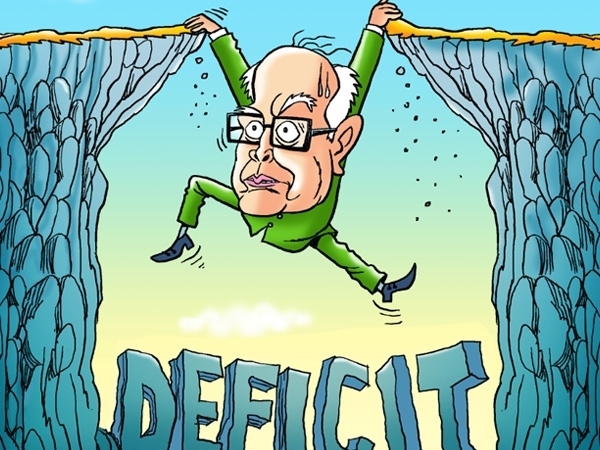 Balance of payments deficit due to too many restrictions. India’s foreign sector was characterized by severe quantitative restrictions on imports and exports and high tariffs on imports. High cost of production during the first three decades, and the economic policies of our planners resulted in inferior quality domestic production besides high costs. 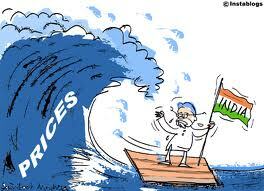 Prices of Indian goods remained high as compared to the world prices. Planners were forced to rethink and liberalise India. Absence of competition resulted in poor quality goods and higher prices. Hence our goods were not competitive in the international market and the performance of the export sector was poor. On the other hand imports continued to increase at a rapid rate resulting in adverse balance of payments. Also the foreign exchange transactions were tightly controlled by the Government and Reserve Bank of India. This adversely affected the growth of India’s foreign trade. The flow of foreign capital was very less due to controls imposed by the government. The country faced a serious balance of payments crisis. India’s share in the world trade declined from 2% in 1951 to 0.4% in 1991. The trade deficit increased as imports were more than exports. In order to meet the deficit and to get out of this crises the government was forced to borrow money from the International Monetary Fund (IMF) and World Bank (WB). By the end of 1991 our external borrowing was about 38.7% of our GDP. 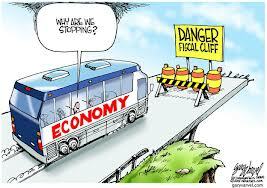 This put an additional burden of debt servicing on our economy. Economic reforms were felt necessary to correct the balance of payment position. The Gulf countries have been the main source of foreign exchange for India. 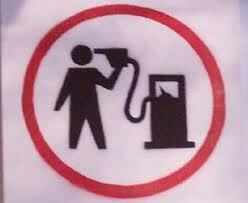 11] In the beginning of 1991, due to a war between Kuwait and Iraq, there was a shortage of petroleum products. Their prices rose resulting in an increase in our import bills of Petrol, Oil and Lubricants (POL). a) We lost our exports to them. The remittances from Gulf workers form a significant portion of our exchange reserves. b] Remittances from Indians working in Gulf countries came to a standstill, as they were not allowed to transfer income to India. c] During the period of Gulf war thousands of Gulf workers were air lifted to India from war zones and there were no more remittances. All this reduced the flow of foreign exchange and worsened our balance of payments position further. Foreigners lost their confidence on India’s capability and its capacity to manage difficult situation. 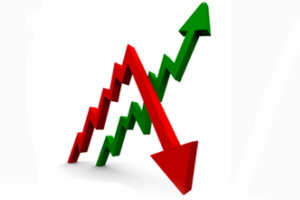 Short term borrowings from the foreign market fell. India faced the crises at the end of 1990 and it continued during 1991. To bail India out of the crises and to keep it in track of development, India resorted to economic reforms. India faced a severe foreign exchange crises, our foreign exchange reserves reduced considerably (foreign exchange reserves of India consists of foreign currency held by the RBI, gold holding and SDRs). In 1990-91 foreign exchange reserves declined to $ 1 billion (Rs 100 crores) ie the situation was so bad that we did not have enough foreign exchange to pay for import petroleum and other essential commodities for a period of two weeks. In this situation it was difficult to make payment of interest on the short term foreign debt and if we failed to pay the interest, our creditors would have declared India as a insolvent country. It would have been a great dishonor to our economy that would have led to lose credit in the international market. We had to mortgage the country’s gold reserves with other countries to get loans for the repayment of loans. IMF, foreign investors and lenders etc lost confidence in the county’s capacity to manage the difficult situation. Fresh loans were not available easily. As a result many NRIs also withdrew their deposits. The crises forced the government to surrender before the international pressure to introduce certain reforms. Government of India faced a liquidity crises during 1990-91.due to collapse of Soviet Union [India’s major trading partner], rising oil prices and stoppage of remittances from the Gulf. In 1990-91 the total debt of the government of India stood at 62,5% of GDP. India was totally caught into a debt trap. In this situation it is very difficult to pay even interest on foreign debts which is a sign of insolvency. This shook the international confidence in Indian economy. This not only bade borrowing difficult but also resulted into outflow of deposits of Non-Resident Indians with Indian banks.. The liquidity crises forced the government to introduce economic reforms in 1991. Industrial growth was falling and overall economy was stagnating as the shortage of imports, reduced domestic and foreign demand and the political uncertainty was affecting production and investment. Importance given to the development of heavy industries did not help the government to achieve the goal of producing more capital and consumer goods. The reason was most of the projects were long gestation projects and were not completed o time. This resulted in wastage of resources. 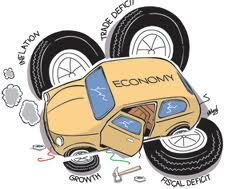 Various controls and regulations had reduced the inefficiency and competitiveness of the economy. This led to stagnant industrial growth and rising unemployment. Between 1950 and 1980 the Indian economy experienced a low growth rate of 3.5% per annum. Such a slow growth rate kept India away from the developed nations of the world. India had to find a way to accelerate growth rate and liberalization was the best option. One of the factors that pushed Indian economy into reforms is the very poor performance before 1980. Due to all these internal and external problems the annual growth rate was just 2.6% . It actually reached a negative level of -0.6% in May 1991. So the NEP is needed to accelerate the growth rate. Indian economy was facing a stagnant inflationary pressure. Prices of essential goods increased rapidly. The average rate of inflation for consumer price index was 11.2% in 1991. This raised the cost of living of the working class, they asked for higher wages which raised the industrial costs. The industrial costs were also increasing because of the rise in price of raw materials. High industrial costs and prices led to stagnation in demand for their products both in domestic and foreign markets. Due to excessive spending by the government over and above its revenue, inflation became a national feature of Indian economy. The government resorted to huge borrowings to finance its expenditure. This led to huge interest payments. Supply of money inflated to almost 14%. Inflation rate was almost 17%. To save the situation government of India pledged some stock of gold to the Bank of England and some stock of gold was sold to the Bank of England. It was a dishonor to our country. The Government of India approached the International monetary fund (IMF) and the world bank for short term loans. Both the institutions granted loans with a condition to make structural changes in the Indian economy ie remove restrictions and to open up the economy. Therefore economic reforms were introduced in 1991. 1] Many East European Countries such as Poland, Hungary etc gave up their socialist frame and they started moving towards a market economy to increase the growth rate. They were successful in their mission. 2] There was unification of Germany. 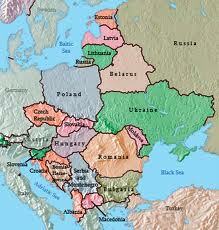 3] European common market came into existence. 4] Success of China and East Asian Counties -From 1980 onwards, socialist China started changing its policies. Partially they started opening their economy in specific areas for foreign investment and for modern technology. India was greatly influenced by the success of China which initiated reforms in 1979. It was followed by miracles in the field of economic growth witnessed by the East Asian Counties like Thailand, Korea and Singapore. Motivated by the success of China and East Asian Counties, India stepped out into an era of economic reforms. 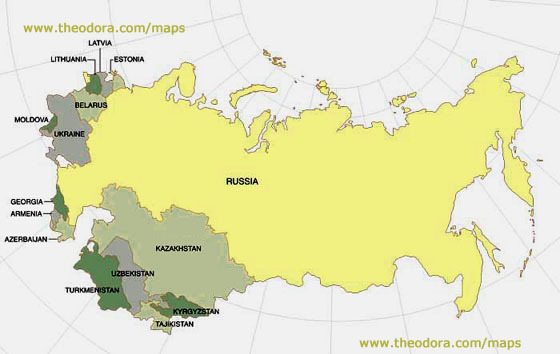 Socialist economy of USSR (United States of Soviet Republic) crumbled down and USSR got divided into many small soviets. (Soviet union was India’s major trading partner). India had no option but to embrace reforms to attract funds. In fact the structural adjustment programmes (SAP) which was implemented after 1991 was partly due to the pressure of USA and its allies. 1] Rigorous control on the functioning of the private sector. Licensing system told the entrepreneurs and manufacturers what to produce, where and how much? Banks were told how to give credit, at what rates, how much and to whom? There were too many restrictions imposed by the government on the private sector which resulted in delays in decision making and wastage of efforts and resources. All this restricted growth and efficiency of the private sector. 2] Inefficiency of the public sector. The performance of the public sector units was unsatisfactory. Instead of generating revenue for the government they started depending on the government for funds. Public sector units suffered huge losses and became “sick units” due to their inefficiency, bureaucracy and red tapism, and wastage of resources. The public sector units were characterized by inefficiency, corruption and poor profitability. Poor performance of the public sector enterprises and monetary losses played a key role in revising the strategies at the central and state level. They favoured liberalization to replace controls and regulations. i) fall in productivity and efficiency. iii) poor customer services etc. Many of these were the result of too many controls. The need for reforms was felt to overcome these shortcomings and to make our financial sector strong.